The guys from G-Power never rest on their laurels and they are constantly working on bringing out fast land rockets, no matter the size or shape. Few people would actually need an SUV with 750 HP but if it’s possible and easy to do, why not bring one out, right? 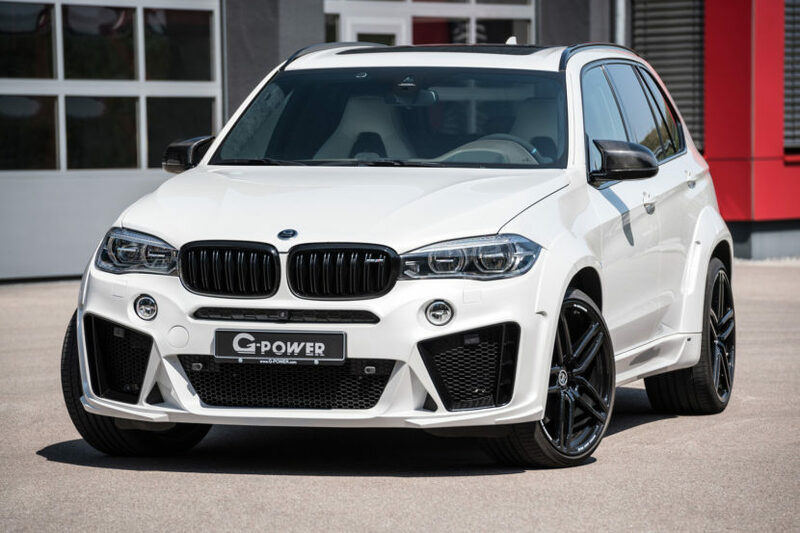 The G-Power crew definitely follow that creed and they just released footage of their latest creation, the G-Power Typhoon, a BMW X5 M with enough power to probably move mountains. The 4.4-liter twin-turbo V8 under the hood normally makes 575 HP and 750 Nm (553 lb-ft) of torque and that’s enough for the big beast to reach 100 km/h (62 mph) in 4.2 seconds. Of course, the xDrive system help put that power down but that’s not the point. This is opulence and power at a whole new level and the Typhoon takes things even higher. The G-Power creation has 750 HP and no less than 980 Nm (723 lb-ft) of torque. 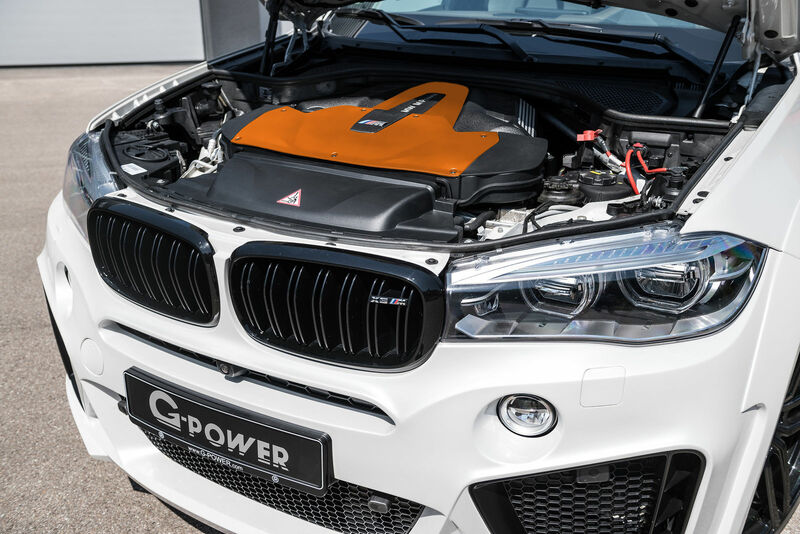 The power increase is delivered by a combination of turbocharger modifications and the application of G-Power’s Bi-Tronik 2 V3 engine control software, customized to each individual engine. 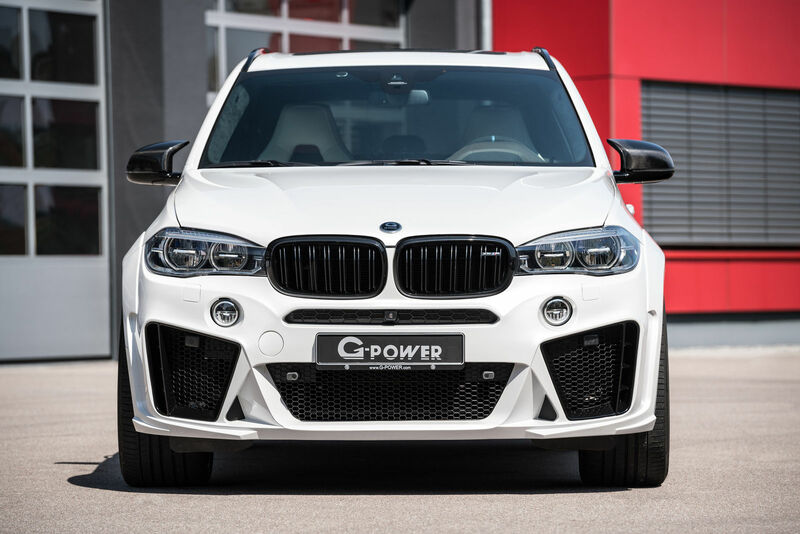 The standard compressor wheel in each modified turbocharger housing is replaced with a larger and more efficient bespoke unit developed by G-POWER and manufactured in-house on their CNC milling machine. While the new wheel is larger, it is also lighter. The reduced inertia results in faster spin up and improved throttle response. At the other end of each turbocharger units, a more efficient exhaust turbine wheel helps to reduce exhaust gas temperatures, allowing higher boost pressures for increased power output. Both wheels are dynamically balanced for silent and reliable service. Finally, a reduction in exhaust back-pressure is achieved through the use of bespoke stainless steel downpipes leading to a titanium sports exhaust system terminating in a rear silencer with four large exit pipes. Of course, there are also some exterior changes noticeable in the photos below but they need no additional introduction, being pretty much obvious.